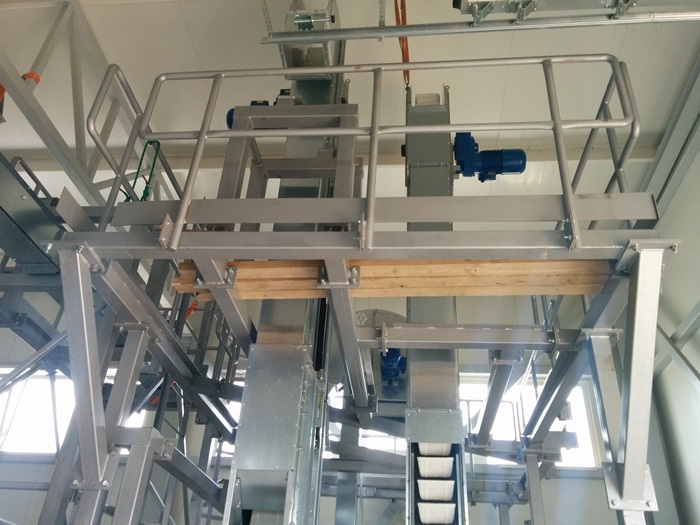 The AGRALEX GROUP screw conveyor is designed for horizontal or inclined transport of free-flowing products such as grains, granulates, fertilizers or powder. 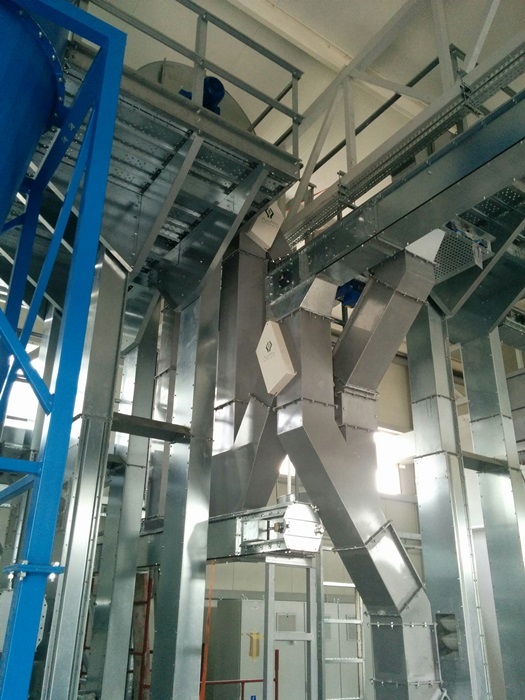 The screw conveyor is modular in construction with bolted dust proof inclined top cover which enables easy access for inspection and service. 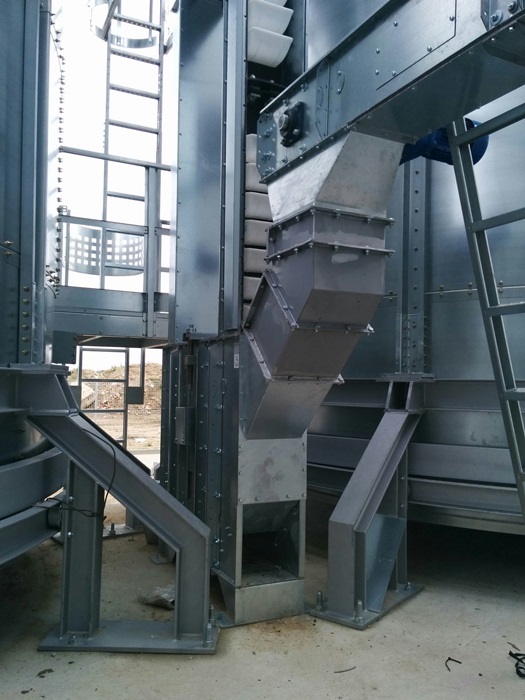 The screw conveyor is available in lengths up to 30 m. consisting in intermediate sections of 2 m. and flights supported at 2 m. by intermediate bearings, in arnite (plastic), or in another solution like bronze, beech-wood or roller bearings.Our screw conveyors are manufactured in galvanized steel, like a standard. 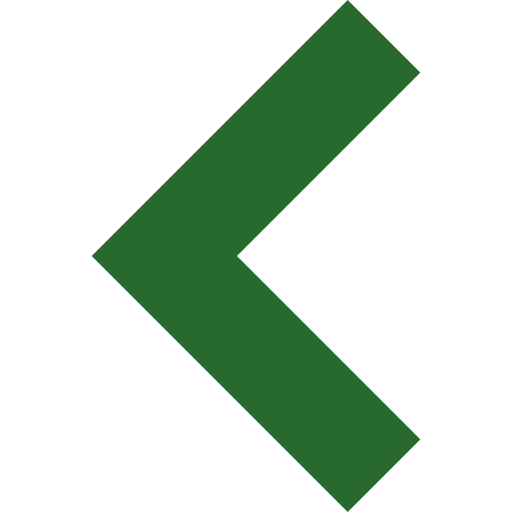 On demand we can serve in painted steel or stainless-steel. 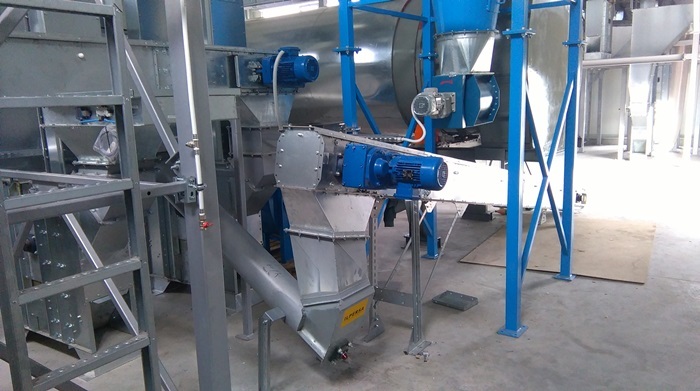 Capacity in wheat, 50% filling and 150 rpm. 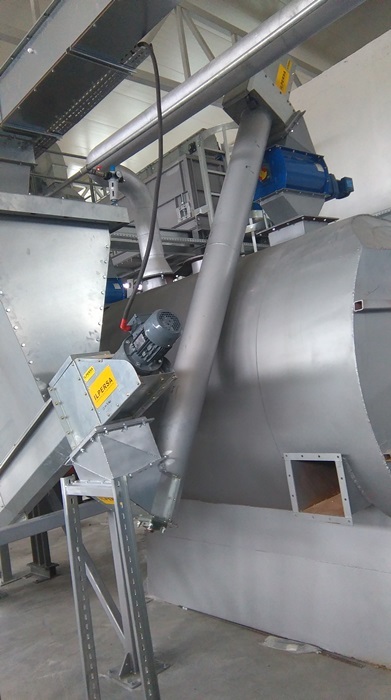 Openable bottom - on demand, we can delivery our screws conveyor with openable bottom in order to obtain easy access during the cleaning process, the screw conveyor is equipped with an openable bottom equipped with spring locks for tool, CE norm. 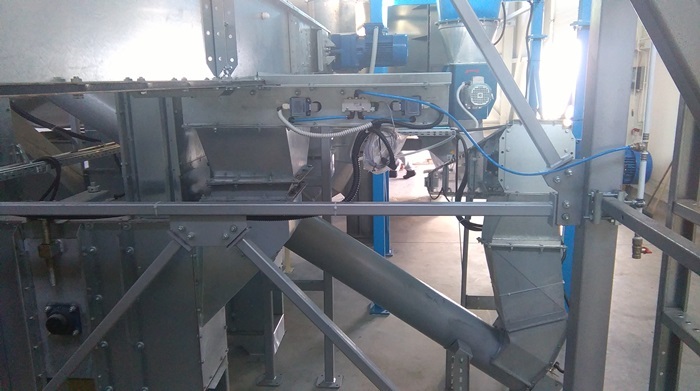 Openable cover - on demand, we can delivery our screws conveyor with openable cover in order to obtain easy access during the cleaning process, the screw conveyor is equipped with an openable cover equipped with spring locks for tool, CE norm. 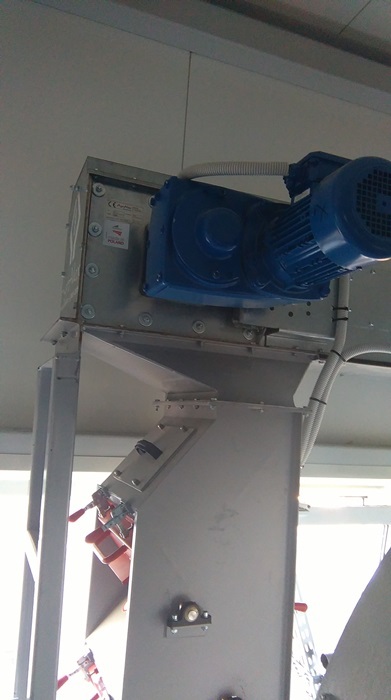 Safety flap and inspection door - as standard, the safety flap is mounted on the screw conveyor at the outlet end to protect the machine in the event of a blockage. The safety microswitch isolates the drive when the flap is opened for inspection or a blockage occurs. Intermediate support - intermediate supports are at 2 m as our standard design. Our standard is in Arnite, but according the product can be in bronze, beech-wood or sealed roller bearing.